Heat ghee in a pan. 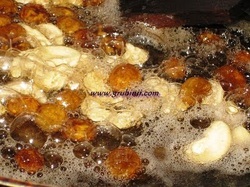 Fry the dry fruits until golden color remove and keep aside. Now boil 3 cups of water in the same pan. 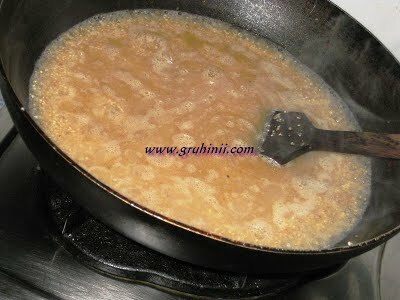 When water starts boiling add the fried daliya to it. Simmer the flame and close the lid. Cook for 10 to 12 mins. Occasionally stir. 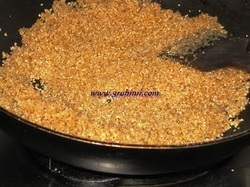 When the daliya is completely cooked and the water is completely absorbed add sugar or jaggery. Allow to melt. Stir, cook until the halwa thickens. Add cardamom powder and mix well. Switch off the flame. 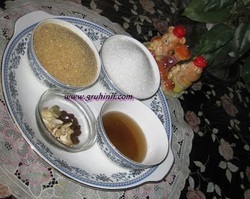 Take the halwa into a serving bowl and garnish with fried cashews and raisins. 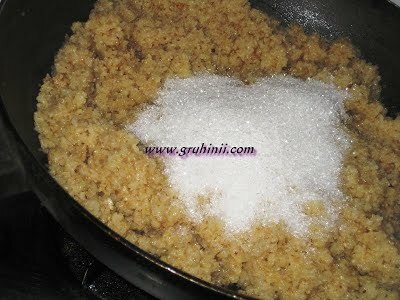 Daliya Halwa/Godhuma ravva halawa/split wheat halwa is ready.............Serve hot. 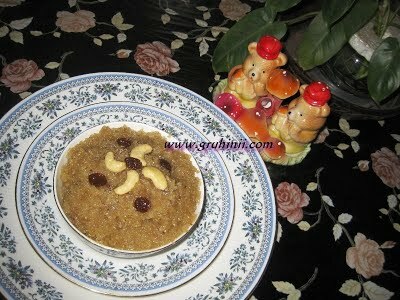 This halwa is mostly prepared for Sathya Nayarana Katha/Pooja and festivals in Andhra Pradesh.